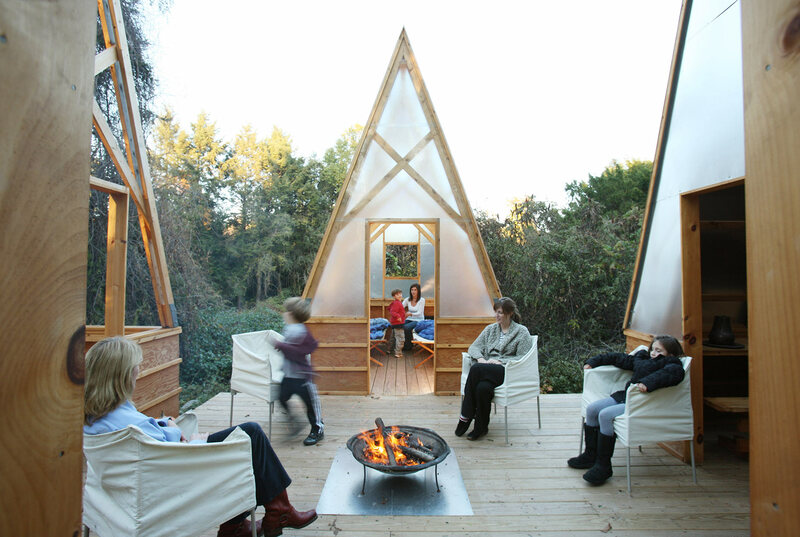 Newton, MA Located on a ten-acre site, four tent-like huts encircle an outdoor deck for family gatherings. 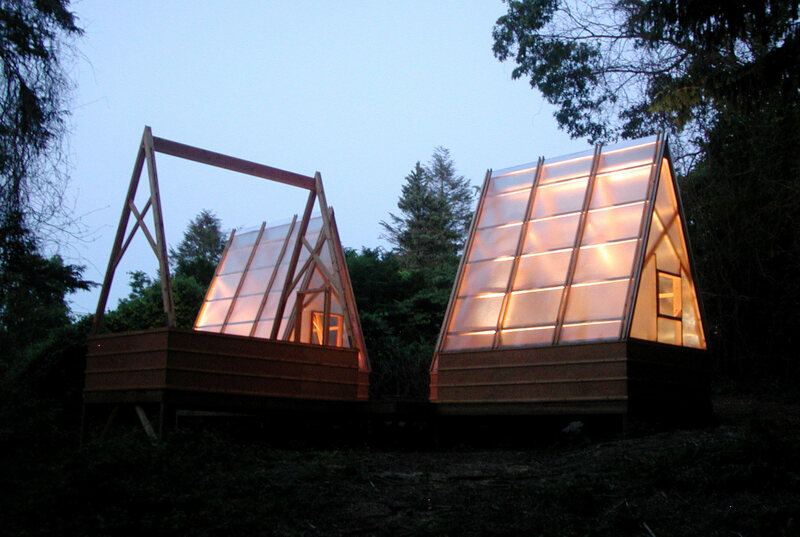 Each hut is similar in scale but has different levels of transparency according to its program (eating, sleeping, etc.). 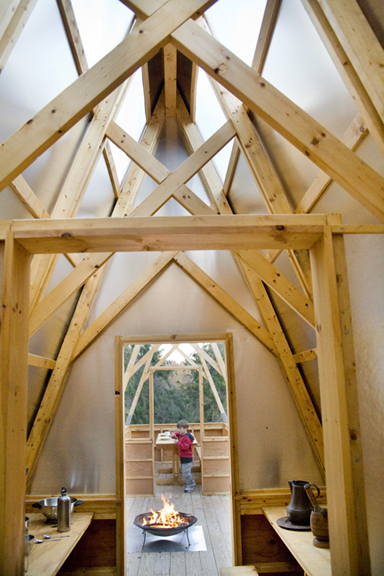 Standard framing materials are elevated with expressed joinery, pitched roofs, and translucent fiberglass, creating mini cathedrals in the marshland. 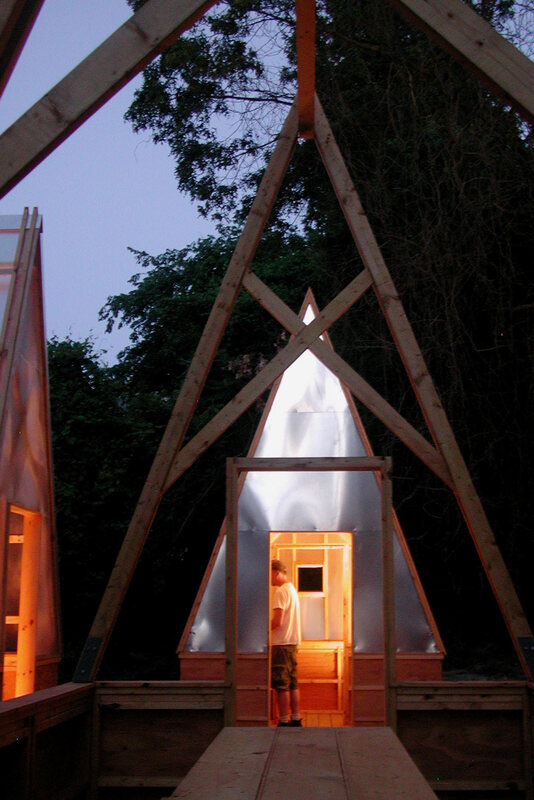 The huts frame the views of surrounding wildlife and nature and were designed to be prefabricated and economical in cost and materials. 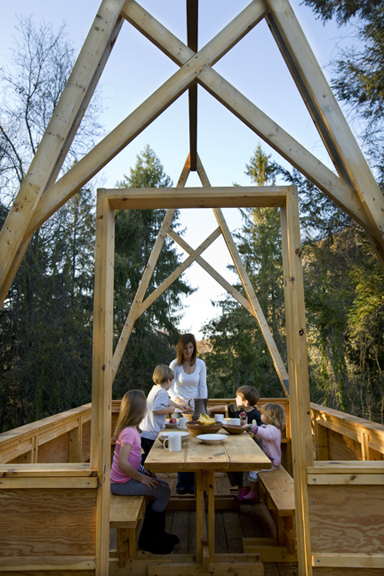 Located on a ten-acre site, four tent-like huts encircle an outdoor deck for family gatherings. 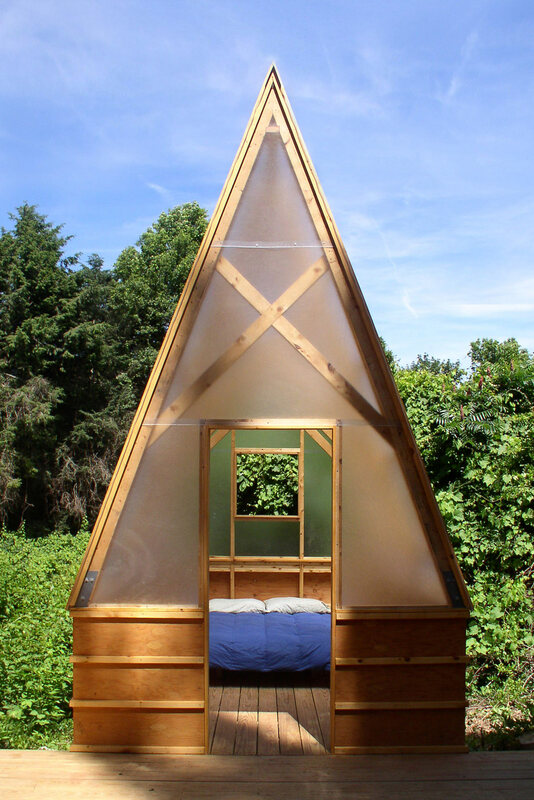 Each hut is similar in scale but has different levels of transparency according to its program (eating, sleeping, etc.). 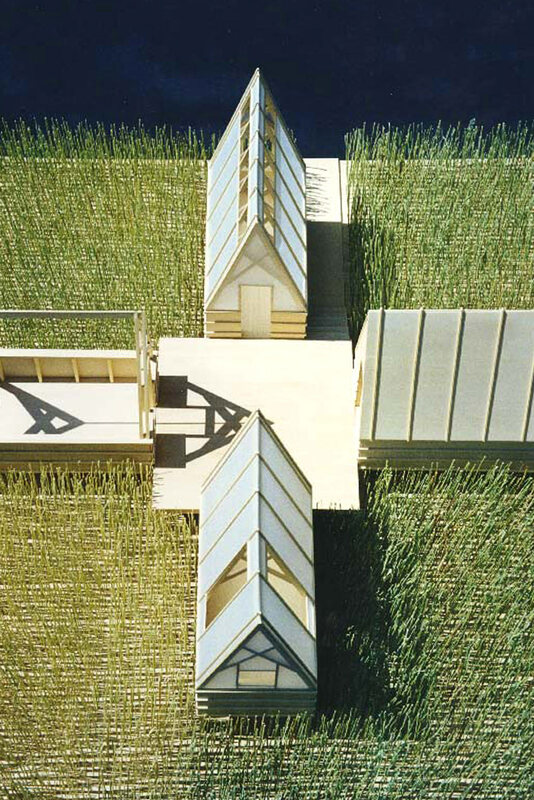 Standard framing materials are elevated with expressed joinery, pitched roofs, and translucent fiberglass, creating mini cathedrals in the marshland. 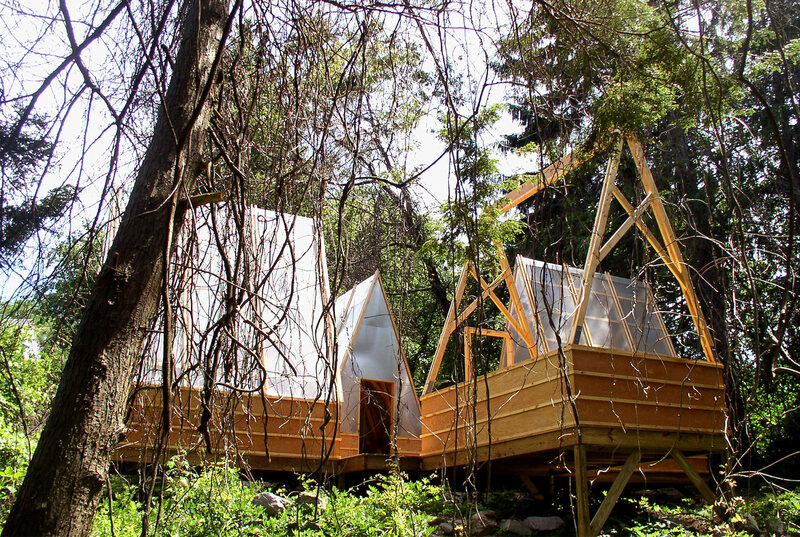 The huts frame the views of surrounding wildlife and nature and were designed to be prefabricated and economical in cost and materials. Founded in 1990, Moskow Linn Architects is an award-winning, Boston-based architecture and design firm led by Robert Linn, AIA, and Keith Moskow, FAIA. MLA's wide-ranging portfolio, including residential projects, offices, and schools, is rooted in the details of the building process and New England craftsmanship. We collaborate closely with our clients, together examining project parameters and developing a dialogue to achieve architectural solutions that balance pleasure, work, and functionality. Through focused attention to detail we express how building components create an articulate whole. This approach includes the use of vernacular forms, materials, and tectonics to create contextual, contemporary architecture that engages its site and reveals its best attributes. 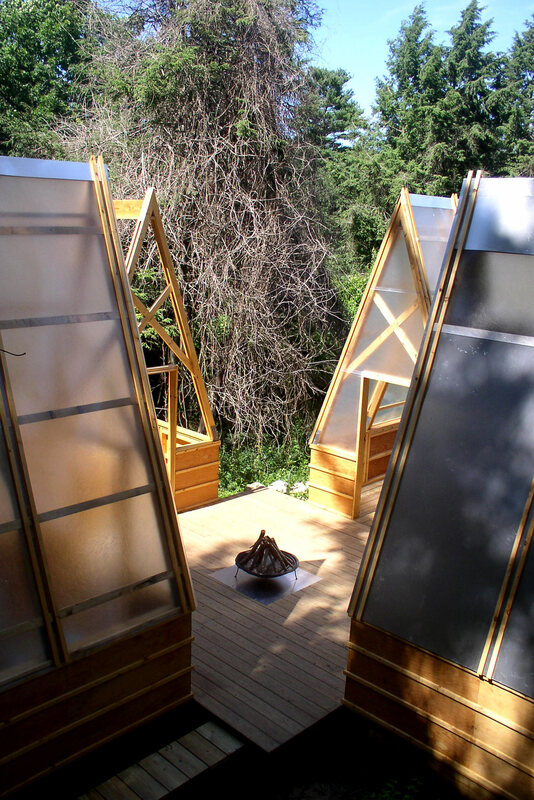 The careful consideration of how one moves through a space and the resulting sensory engagement with a structure is also a fundamental driver of our design work, as is a commitment to creating forward-looking energy efficient structures. For every project we imagine a narrative that grounds our work with a timeless quality meant to last for generations. 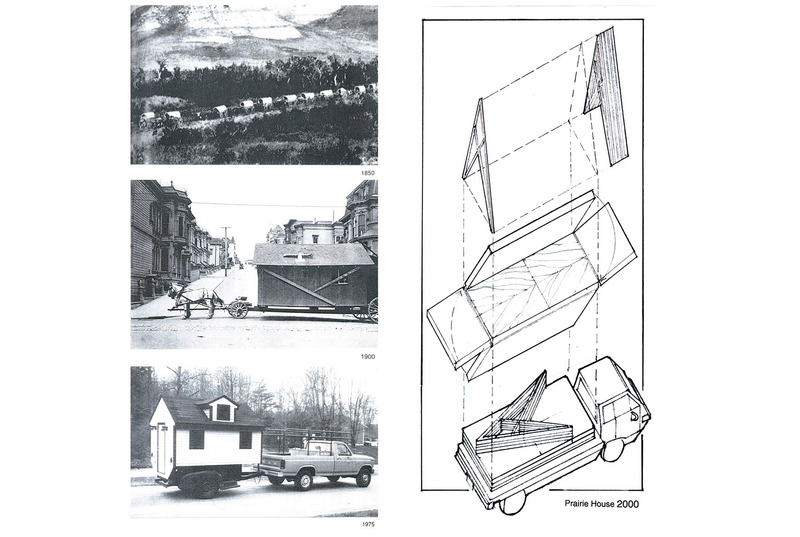 MLA has a longstanding tradition of expanding the boundaries of conventional architecture practice through theoretical interventions, small-scale investigations, and publications. These explorations allow us to approach design with fresh perspectives and push us to test the limits of form, process, and materials.